Konitsa (Greek: Κόνιτσα) is a town of Ioannina in Epirus, Greece, near the Albanian border. It is located north of the capital Ioannina, and northeast of a group of villages known as the Zagorochoria. The town was built amphitheatrically-shaped on a mountain slope of the Pindos mountain range from where it overlooks the valley where the river Aoos meets the river Voidomatis. Konitsa acts as a regional hub for several small villages of Pindos, and features many shops, schools and a general hospital. Primary aspects of the economy are agriculture and tourism; it is a popular starting point for tourists and hikers who want to explore the Pindos mountains, or who want to go rafting in the river Aoos or parapenting. Due to Konitsa's closeness to places of particular interest, such as the Vikos–Aoös National Park, which includes the Vikos Gorge, the Aoos Gorge and the Tymfi mountains, where the Vikos spring water brand is collected, the Dragonlakes of Tymfi and Smolikas and the sulfur baths of Kavasila, contributed to the increase of tourism in the region. The town itself is known in Greek as Kónitsa (Κόνιτσα), the villages surrounding it are often known as the Konitsochoria, meaning "the villages of Konitsa". The town is known in Albanian as Konicë, in Aromanian/Vlach as Conița, and in Turkish as Koniçe. During the Middle Bronze Age (2100-1900 BC) the region of Konitsa was inhabited by Proto-Greek populations. Latter in classical antiquity, the area was part of the territory of the Molossians. At the time of the reign of Pyrrhus of Epirus (297–272 BC) a number of forts existed in strategically important positions. The town of Konitsa is recorded for the first time under its modern name in the Chronicle of Ioannina of 1380. The chronicle mentioned that the defences of the castle of Konitsa were strengthened by the local Despot of Epirus, due to an imminent attack. In 15th century Konitsa came under Ottoman rule and became part of the Sanjak of Ioannina. The town was the administrative centre of a kaza (Ottoman district). During the Ottoman period some local Greek landowners converted to Islam to preserve their holdings. These converts formed a powerful and influential group in the area, living in the upper part of Konitsa alongside the Christians. While Christians were a majority in the upper part of Konitsa, the lower part of Konitsa had a Muslim majority, consisting of Muslim Albanian refugees from nearby settlements and regions like Leskovik, Kolonjë and Frashër (today located in Albania) who became agricultural laborers. The native Muslim and Christian population exclusively spoke Greek in the two neighborhoods of the town. A Greek school was operating already from the end of the 18th century under Georgios Mostras, student of Balanos Vasilopoulos. Greek education was flourishing and in 1906 the kaza of Konitsa had 31 schools and 1,036 pupils. The functioning of the school was interrupted during the turbulent times of Ali Pasha's rule, however soon after it reopened following the initiative of Kosmas Thesprotos, a student of Athanasios Psalidas. During the Greek War of Independence (1821-1830) a Greek national identity was evident among some local Muslims too. During the 19th century until the early 20th century (late Ottoman period), the tekke of Konitsa, similarly to other Albanian Bektashi tekkes, was a covert center of culture, learning and tolerance, but also Albanian national activism against the Ottoman Empire. In that period period some Konitsa residents developed a national consciousness resulting in individuals such as Faik Konitza and Mehmet Konica becoming important figures in the Albanian national movement. On the other hand, the local Greek population displayed tolerance towards actions by the Albanians that did not reveal chauvinist inclinations. By the late 19th century the town had a Muslim majority population of 62% and was mainly Greek-speaking, while the kaza had a Christian majority. In 1924 Konitsa was a small town that consisted of a total of 800 dwellings, 200 of which were considered Albanian or Turkish. As a result of the population exchange agreement of 1923 between Greece and Turkey, roughly two thirds of Konitsa's Muslims, were considered “Turks by origin” and left for Turkey in 1925. Another part moved to Albania. They were replaced with around 1.000 Greeks from Cappadocia. 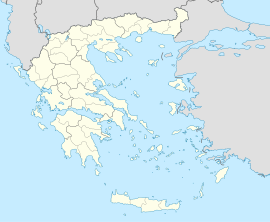 In the following Greek Civil War (1946–1949) the surrounding region became a major battleground, while in December 1947 communist guerrilla units unsuccessfully tried to capture the town. Almost all buildings inhabited by Muslim Albanians in Konitsa were destroyed during World War II warfare. The communists guerrillas had the opportunity to withdraw and regroup to the People's Republic of Albania and then launch repeated attacks against Konitsa, but were decisively defeated by the Greek army. During the 1950s the Muslim population numbered around 70 families and they further decreased over time to a few families due to conversions to Christianity or migration to their Muslim correligionists in Greek Thrace, in both cases for marriage. The Konitsa municipality has an area of 951.184 km2, the Konitsa municipal unit has an area of 542.516 km2, and the Konitsa community has an area of 54.506 km2. The province of Konitsa (Greek: Επαρχία Κόνιτσας) was one of the provinces of the Ioannina Prefecture. It had the same territory as the present municipality. It was abolished in 2006. Konstantinos Dovas (1898–1973), Prime minister of Greece and Army general. Eleftherios Oikonomou, former Chief of the Greek Police. Giannis Lyberopoulos, professor and author. ^ a b c d e f g Pusceddu, Antonio Maria (2013). "Local Brothers, National Enemies: Representations of Religious Otherness in Post-Ottoman Epirus (Greece)." Oriente Moderno. 93. (2): 605. "A confirmation of Muslim majority in local society can be found in the statistics presented by Panayōtis Aravantinos, who published a well-known book on Epirus in 1856, largely based on Ottoman statistics, in which out of 579 “households” (oikoi), 360 were “Turkish”, that is the 62 % of the population. "; p. 606, "The town was the administrative seat of a kaza inhabited mainly by Christians. The Muslims of Konitsa were largely Greek-speaking, a rather unusual fact, given that the Muslim population of Epirus was predominately Albanian-speaking." p. 607. "The dividing line between the mostly Greek-speaking region of Konitsa and the mostly Albanian-speaking region of Leskovik and Karamouratia was supposed to roughly correspond to the Vjosa river valley between the two regions. "; p. 608. "As elsewhere in Greece, the main event that reduced considerably the local Muslim community was the compulsory exchange of populations with Turkey, that led to the departure of about 2/3 of the local Muslims, replaced with about a thousand refugees from Cappadocia... (Konicë, with stress on ‘iʼ, is the Albanian form for Konitsa). "; p. 609. "As far as the border remained open it allowed connections and marriage exchanges with the nearby coreligionist Albanian population, whereas after its closure during the Cold War period, the Muslims of Konitsa felt in isolation, deprived of their place of worship and religious activity. During the 1950s around seventy families were still living there, a number that has gradually decreased so far, partly as a consequence of religious conversions (one of the few workable options for getting married), partly as a consequence of late departures to Eastern Thrace, where resides the only Muslim minority recognized by the Greek state, the other workable option for getting married." ^ Vlachos, Koliva, 2013, p. 2: "Η σύγχρονη επιστήμη έχει καταλήξει στο ότι μεταξύ των ετών 2200/2100 και 1900 π.Χ. ο κύριος όγκος των Πρωτοελλήνων... των τριών μεγάλων φρουρίων πού περιέβαλαν τον κάμπο της (Μεσογέφυρας. Ρεϋνίκου και Κόνιτσας). ^ Vlachos, Koliva, 2013, p. 3: "Με τη σημερινή της ονομασία η Κόνιτσα αναφέρεται για πρώτη φορά μεταξύ άλλων πόλεων κατά τον Π. Αραβαντινό από παράδοση στο «Χρονικό των Ιωαννίνων»... αρνησίθρησκου τοπάρχη Ισαήμ από το Λεσκοβίκι. ^ H. Karpat, Kemal (1985). Ottoman population, 1830-1914: demographic and social characteristics. p. 146. Retrieved 22 September 2011. ^ a b Vlachos, Koliva, 2013, p. 6. "Ο πληθυσμός της πόλης ήταν συγκεντρωμένος σε δύο συνοικίες την περίοδο της Τουρκοκρατίας. Στην Πάνω Κόνιτσα, που αποκαλούνταν και Βαρόσι. (οι κάτοικοί της Βαροσλήδες) με πλειοψηφία το χριστιανικό στοιχείο, και στην Κάτω Κόνιτσα, που πλειοψηφούσε το μουσουλμανικό στοιχείο. Το μουσουλμανικό αυτό στοιχείο αποτελούνταν από πρόσφυγες Αρβανίτες, κατά κύριο λόγο εργάτες γης (τσιφτσήδες), που προέρχονταν από την Καραμουρατιά, Λέσκοβίκο, Κολώνια, Φράσερη κλπ». Στην Πάνω Κόνιτσα, εκτός από το χριστιανικό πληθυσμό κατοικούσαν και μεγάλες και ισχυρές οικογένειες μουσουλμάνων. Οι οικογένειες αυτές προέρχονταν από εξισλαμισθέντες ντόπιους κυρίως φεουδάρχες - τιμαριούχους. Έλληνες που αναγκάστηκαν να αρνηθούν τη θρησκεία τους, για να σώσουν τις μεγάλες περιουσίες τους (τσιφλίκια)... [The population was concentrated in two districts of the Ottoman period. In upper Konitsa, who was also called Varosi. (Its inhabitants Varoslides) by a majority of the Christians, and lower Konitsa, who were in the majority Muslim element. The Muslim element consisted of Albanian refugees, mainly agricultural laborers (Chiftchi), sourced from Karamuratia, Leskovik, Kolonjë, Frashër etc. In Upper Konitsa, apart from the Christian population there lived large and powerful Muslim families. These families came from islamised locals mainly feudal - timar holders. Greeks who were forced to renounce their religion to save their fortunes...]". ^ a b M. V. Sakellariou. Epirus, 4000 years of Greek history and civilization. Ekdotikē Athēnōn, 1997. ISBN 978-960-213-371-2, p. 307: ""In the city of Konitsa in particular, a Greek school had been founded at the end of the eighteenth century at which the.. "
^ Vlachos, Koliva, 2013, p. 27: "Χαρακτηριστικό της Ελληνοφροσύνης των Κονιτσιωτών ακόμα και των Μουσουλμάνων στα χρόνια της Ελληνικής επανάστασης"
^ Sellheim, R. (1992). Oriens. BRILL. p. 298. ISBN 978-90-04-09651-6. Retrieved 3 October 2010. ^ a b Nitsiakos, Vassilis (2010). On the border: Transborder mobility, ethnic groups and boundaries along the Albanian-Greek frontier. LIT Verlag. pp. 40-41. "The example of several Albanian-speaking Muslims in Konitsa is typical and was expressed in the most meaningful war, when, during the exchange of populations between Greece and Turkey, after 1923, they had to declare their national identification so that their fortune was decided. In a way, all Muslims were considered Turks and, consequently, were to go to Turkey, but part of the Konitsa Muslims developed a national consciousness (the brothers Faik and Mehmet Bey Konitza, leading figures of the Albanian national movement are a characteristic example), while some seemed not to have developed a particular national consciousness and defined themselves simply as Muslims from Konitsa, which is why they faced a serious problem when they were called to declare their nationality. p. 57. There was only a problem with the Muslims, but this was also solved, with the exchange of populations after 1923, when most of those who remained after the liberation of Epirus departed as well and the few ones left gradually decreased in number, so that after World War II there were only a few Muslim families in Konitsa, some of whom are still there today." ^ M. V. Sakellariou.Epirus, 4000 years of Greek history and civilization. Ekdotike Athenon Archived 14 June 2010 at the Wayback Machine, 1997. ISBN 960-213-371-6. p 361: "The Greek population displayed toleration whenever the action taken. ^ Lambros Baltsiotis (2011). The Muslim Chams of Northwestern Greece: The grounds for the expulsion of a “non-existent” minority community. European Journal of Turkish Studies. "According to a basically common legal process, a few hundred more individuals, Muslims, living mostly in urban centers declared themselves to be of “Albanian origin” and some others obtained Albanian nationality and thus avoided their inclusion in the exchange process. On the other hand the (Muslim) population of… small towns of Konitsa... were considered “Turks by origin” and were included in the exchange of the populations." ^ Vlachos, Koliva, 2013, p. 6: "Από τον μουσουλμανικό πληθυσμό της Κόνιτσας ένα μέρος του υποχρεώθηκε να φύγει προς την Τουρκία με την ανταλλαγή των πληθυσμών το 1925, ένα μέρος του πέρασε στην σημερινή Αλβανία ..."
^ Foss, Arthur (1978).Epirus. Faber. ISBN 9780571104888. p. 112. "The inhabitants were originally refugees from Asia Minor, transplanted here after the disastrous Greek defeat in 1922. They are mainly farmers with holdings close by in the Plain of Konitsa. ^ Kiel, Machiel (1990). Ottoman architecture in Albania, 1385-1912. Research Centre for Islamic History, Art and Culture. p. 3. ISBN 978-92-9063-330-3. Retrieved 1 November 2010. ^ Chant, Christopher (1988). Warfare of the 20th century : armed conflict outside the two World Wars. Secaucus, N.J.: Chartwell Books. p. 177. ISBN 9781555212339. 1 January 1948 the Greek army relieved Konitsa, the important garrison close to the Albanian border that had long been under siege. The DSE forces fell back into Albania, regrouped and launched another offensive against Konitsa on 25 January, but were decisively beaten. Vlachos Alexandros, Koliva Aikaterini (2013). Αποτύπωση και πρόταση επανάχρησης υπάρχοντος κτιρίου σε ξενώνα στην Κόνιτσα Ιωαννίνων [Mapping and proposal reuse of an existing building into a guesthouse in Konitsa] (Thesis). Piraeus University.